These are the bills affecting animals that were introduced in the 2015/16 session. The ones at the bottom passed – all others died on Dec. 31, 2016. A record number of anti-cruelty bills have been introduced in the state legislature for the 2015/16 state legislative session so far this year. Each bill has a brief description and status. For more in depth information about the bill, check the linked fact sheet or linked co-sponsorship memo. 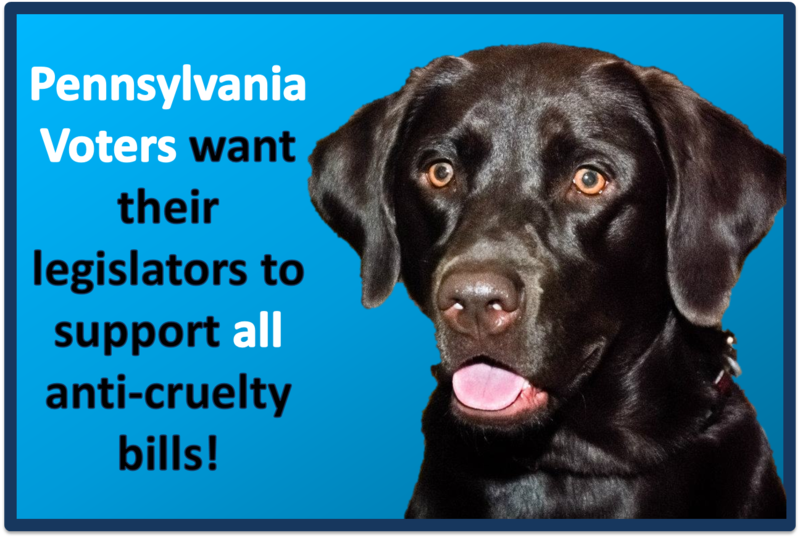 It is important to contact your state legislators requesting their support of anti-cruelty legislation in Pennsylvania. Please also share this link with them so they can bookmark it as a handy reference. SB 22: “Puppy Lemon Law”– provides for dog purchaser protection. This bill gives people who purchase sick puppies more time to discover, treat and report their puppy’s condition to the seller to demand a refund or replacement and grants greater consumer protection to people whose families purchase sick or dying puppies so that sellers can be held responsible. Introduced by Sen. Stewart Greenleaf + 12 co-sponsors (Co-Sponsorship Memo). Status: Passed Committee: Contact your state senator to ask them to support. SB 78: – Puppy Mills – if a kennel license has been revoked; this bill will stop a new kennel license from being issued to a person who is a member of the immediate family nor to any person who resides at the same address of the current license. Introduced by Sen. Richard Alloway + 9 co-sponsors (Co-Sponsorship Memo). Status: Passed full Senate – referred to House Agriculture committee. SB 264: Banning the Sale of Shark Fins. Shark finning is an illegal process during which poachers catch sharks, remove their fins to sell, and then dump their bodies back into the ocean. Though the sharks are still alive, they are unable to swim without their fins and, ultimately, they suffocate, starve to death or are killed by another animal. Introduced by Senators Alloway and Leach + 7 co-sponsors (Co-Sponsorship Memo). 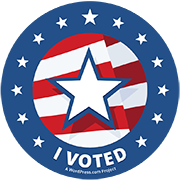 Status: Passed full Senate – contact your state representative to support! SB 294: “Cordelia’s Law” – (Fact Sheet) adds protection for horses, additional protections for cruelty to service dogs and provides for development of guidelines for humane society police officer advisory board. Introduced by Senator John Eichelberger + 9 co-sponsors. (Co-sponsorship Memo). Passed full Senate. Ask your state representative to support. SB 373: Anti-Tethering Legislation (Fact Sheet). Introduced by Sen. Richard Alloway (Co-Sponsorship Memo). Status: Passed full Senate. Status: Sitting in House Judiciary for over a year. Action needed – ask your state representative to support and help move. SB 394: Animal Fighting: This bill will help district attorneys investigate and prosecute illegal gambling operations involving animal fighting with $250,000 for the Attorney General grant to local DAs to investigate, prosecute and enforce laws relating to illegal gambling that involves animal fighting. Introduced by State Sen. John Yudichak + 7 co-sponsors (Co-Sponsorship Memo). SB 573: This bill will allow Dog Law fines and penalties collected to remain in with the critical work Office of Dog Law, rather than Computer System Augmentation Account. Introduced by Senator Chuck McIllhinny + 12 co-sponsors. (Co-sponsorship memo). SB 594: Raising animal cruelty penalties when under protection-from. abuse order. Introduced by Senator Andy Dinniman and 11 co-sponsors. (Co-Sponsorship Memo) Status: Passed full Senate. Passed House Judiciary. SB 715: Bill to end live pigeon shoots. Introduced by Senator Pat Browne + 19 co-sponsors. (Co-Sponsorship Memo). Status: Referred to Senate Judiciary Committee. SB 722: will create a special spay/neuter vehicle license plate in Pennsylvania, with 100% of the proceeds allocated as grants to non-profit shelters and humane organizations to offer veterinary clinics for spay/neuter programs. Introduced by Senator Alloway +6 co-sponsors.. (Co-Sponsorship Memo) Status: Referred to TRANSPORTATION Committee. SB 977: Motor Vehicle Extreme Heat Protection Act – would allow for a police officer, public safety professional or humane officer to have the authority to remove a dog or cat from an unattended motor vehicle if they believe the animal is suffering and is endangered. Introduced by Senator Teplitz + 13 co-sponsors. (Co-Sponsorship Memo). Status: Referred to Senate Judiciary Committee. Senate Bill 1372: Libre’s Law: increases the penalties for the most heinous of animal abuse. Senator Alloway + 20 co-sponsors. Status: Referred to Senate Judiciary Committee. SB 1070: Allows for Sunday hunting. Introduced by Senator James Brewster + 3 cosponsors. Status: Referred to GAME AND FISHERIES. HB 19: Designating the Shelter Pet as the Official Pet of the Commonwealth -introduced by Representative Schlossberg +11 co-sponsors (Co-Sponsorship Memo). HB 113: Animal Cruelty Penalties “Angel’s Law“ increased penalties for violations of the animal cruelty laws in Pennsylvania. Introduced by Rep. Dom Costa +22 co-sponsors (Co-Sponsorship Memo). HB 281: Increases penalties for individuals convicted of animal cruelty. Introduced by Rep. Chris Sainato + 24 co-sponsors (Co-Sponsorship Memo). HB 481: Prohibits tethering a dog outside between 10 p.m. and 6 a.m., in extreme weather; and limits the type of tether which may be used. Introduced by Rep. David Parker + 51 co-sponsors. (Co-Sponsorship Memo) Status: Referred to House Judiciary Committee. HB 569: Legislation Providing for County Humane Officers. Introduced by Rep. Scott Conklin + 15 co-sponsors. (Co-Sponsorship Memo). HB 760: Veterinarian Immunity Bill – provides civil liability to Veterinarians, Veterinarian technicians, and Veterinary assistants when they report suspected animal cruelty in good faith. Introduced by Representative Mark Keller + 35 co-sponsors. (Co-sponsorship Memo) Status: Passed the House – referred to Senate Judiciary Committee. HB 1469: Animal Fighting: adds animal fighting to the list of offenses that are enforceable under the state’s racketeering provisions, Introduced by Rep. Ted Harhai +26 co-sponsors (Co-sponsorship Memo). HB1516: Motor Vehicle Extreme Heat Protection Act – would allow for a police officer, public safety professional or humane officer to have the authority to remove a dog or cat from an unattended motor vehicle if they believe the animal is suffering and is endangered. Introduced by Representative Frank Farry and Rep. Kevin Schreiber + 32 co-sponsors. Passed House Judiciary. HB 2383: Animal Abuse Statute Overhaul: Updates and clarifies the existing animal abuse statute and increase penalties for abusing any animal. Introduce by Rep. Todd Stephens. (Co-sponsorship memo). HB 1374: Allows for Sunday Hunting. Introduced by Representative Farina (D) and Robert Godshall (R) + 35 cosponsors. Status: Referred to GAME AND FISHERIES. HB 164: Possession of Animal Fighting Paraphernalia prohibiting anyone from possessing equipment or implements if they are used for animal fighting. Introduced by Representative Todd Stephens+50 co-sponsors (Co-Sponsorship Memo). Status – signed into law – now ACT 24. HR 37: Resolution Designating February 24, 2015, as “Spay Day” in Pennsylvania – introduced by Representative Mike Schlossberg (Co-Sponsorship Memo). Passed. HR 92: Resolution designating the month of April 2015 as “Prevention of Cruelty to Animals Month” in Pennsylvania. Introduced by Kevin Schreiber +48 co-sponsors. Passed. HR 588: Resolution designating the month of April 2016 as “Prevention of Cruelty to Animals Month” in Pennsylvania. Introduced by Representative Kevin Schreiber + 69 co-sponsors. HR 704: A Resolution recognizing the month of February 2016 as “National Spay and Neuter Awareness Month” and February 23, 2016, as “World Spay Day” in Pennsylvania. Introduced by Representative Donna Bullock + 42 co-sponsors. HR 920: A Resolution designating the month of June 2016 as “Adopt a Cat Month” in Pennsylvania. Introduced by Representative Donna Bullock + 29 co-sponsors.